Well, the critics were definitely right on this one. 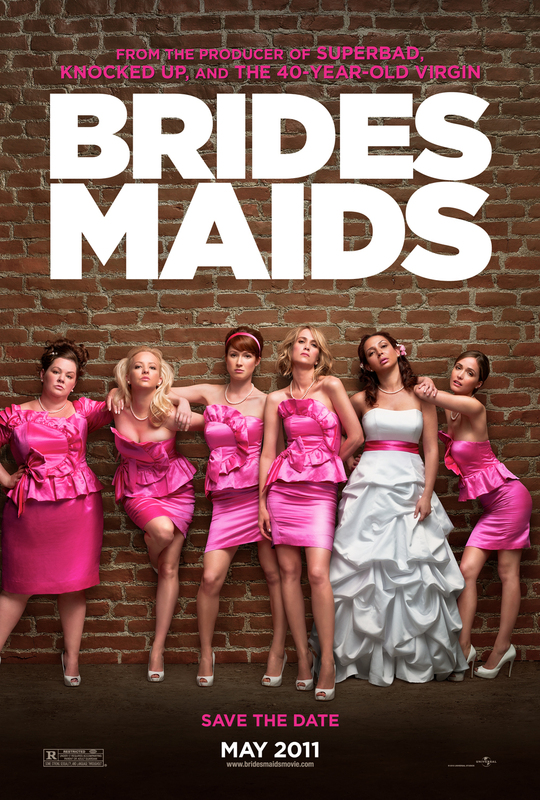 “Bridesmaids” is THAT good. The film is truly hilarious and had me laughing even after I left the theatre. What surprised me the most however, was the more dramatic 2nd half of the film, which was "pitch-perfect". I must single out Kristen Wiig who really gives a star-making performance and I would be surprised if she doesn’t pick up a Golden Globe nomination. My favourite film of the year so far. Tara and I went to see it for the second time. It is indeed THAT good!!! haha, I would totally watch it a second time! I'm already thinking of buying the dvd! I laughed a lot during this, actually probably more than I was expecting, but at times it felt too overlong and could have been trimmed down just a bit more. Glad you liked it so much!